Unbiased and easy to understand. Most valuable dollars our club will spend this year. "The weekly e-mail updates and weather alerts are just enough information to absorb each week in a timely fashion. Love the photo gallery as well." "We are fortunate to have PACE Turf as a valuable resource that helps educate the golf industry with their website, PACE Highlights and weekly updates." "Larry and Wendy - two of the brightest people I know! They have the knack of taking complex issues and making them understandable." "PACE Turf Updates - an essential tool for all turfgrass managers regardless of where they work." "The Clubhouse Editions provide a professional look along with easy to understand information. Our membership has had many positive comments." "PACE Turf is part of my daily routine with their Weather Alerts and e-mail updates." "They apply common sense to the complicated research data and snake oil remedies flying around in the turf business. 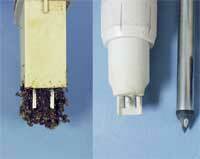 I can make decisions based on real science explained to me simply by PACE Turf." "PACE's efforts are helpful to superintendents throughout the country. I enjoy their updates, and highly recommend their information whenever asked." "PACE Turf has provided an easy way to keep up with the latest findings, and has also been a nice resource on many aspects of turfgrass management." "I have been a member of PACE for the last 4 years and found the information to be pertinent, timely and presented in a personal but an unbiased manner." "We are fortunate to have PACE Turf as a valuable resource. The subscription fee is nominal when you compare it to the cost of inferior playing conditions due to not being informed." I like the Clubhouse Editions, and have posted many on our locker room bulletin boards. They are well written with high quality photos. They educate the golfers on issues that help me do a better job. "No matter how much experience and how good a superintendent any of us are, we can always use support. The ability to have the support of PACE Turf is priceless. Wendy and Larry are the best!" 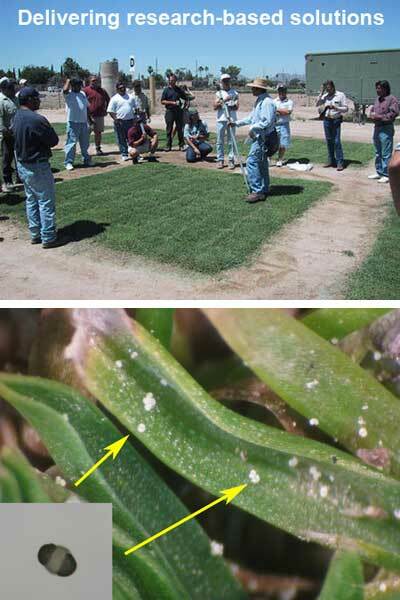 "PACE Turf members are getting turfgrass information that is as good as there is to be had." 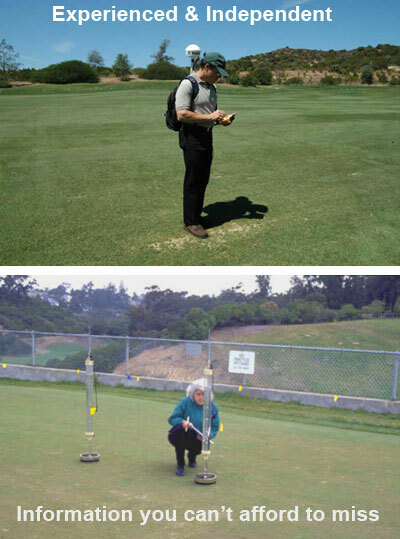 "PACE Turf is the best information source that I have found in my 26 years as a turfgrass manager. They do a great job!" "The Clubhouse Editions are always nice, because Wendy and Larry explain turf maintenance issues in plain facts that you can post for the golfers to read." "I’m a fan of PACE because they are great scientists with real on-site experience. 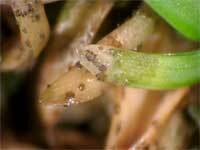 They know the reality of turfgrass management from a turfgrass manager’s perspective." "Larry and Wendy do an excellent job of on-site research and demonstration studies, and they do it with good, sound scientific principles and practices." 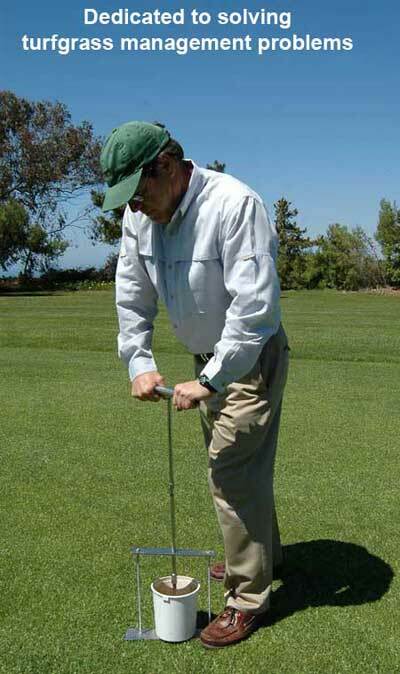 "When I find a problem on my golf course, I’m never surprised, because just days before I’ve received a PACE Turf Update email giving me advice on the problem." "PACE Turf. It’s current. It’s up to date. You get good information on a weekly basis through the newsletter." "PACE Turf keeps me on the cutting edge of research. They have so much information online that I've taken advantage of it and educated myself." "What I like best about PACE Turf are the updates sent by e-mail each week. I always learn something new and get ideas about turfgrass management that I share with my clients in Asia." "I sought out PACE Turf as a way of staying in touch with everything that is going on." "A PACE Turf membership is $275. I think it’s a well-spent $275." "With its climate monitoring feature, PACE Turf has saved me money by showing me when it is the appropriate time to apply a product." "For me, $275 for a PACE Turf membership is a no-brainer." 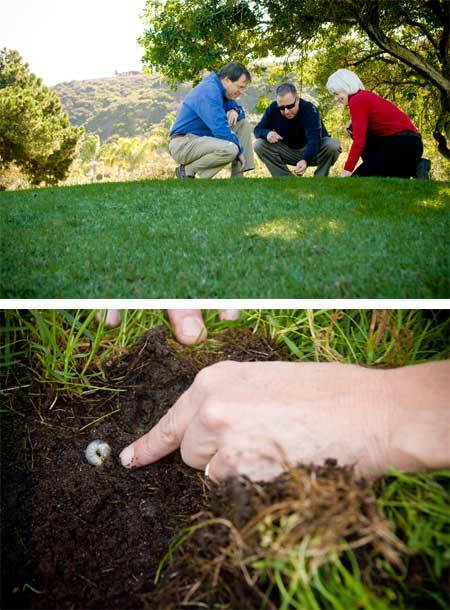 "Wendy and Larry are generally regarded in the scientific community as some of the top turf scientists. No question. I certainly regard them as that, and I think most people do." "Larry and Wendy save me from having to check my technology resources or just reassure me that a decision I’ve already made was on the right track. They’re kind of my partners, if you will." "They give concise, up-to-date information day-by-day and month-by-month all during the year. They’re two awesome people, and they know what they are doing." "Wendy and Larry. They’re good people. They’re an asset to the industry. And I’m glad they’re on my side." "I relied heavily on Larry and Wendy in my preparations for last year’s Open. When the world is watching, it is comforting to have the backup and assistance of a professional organization like PACE." "It's a great benefit for us to have access to PACE Turf for their up to date, objective and science-based information." 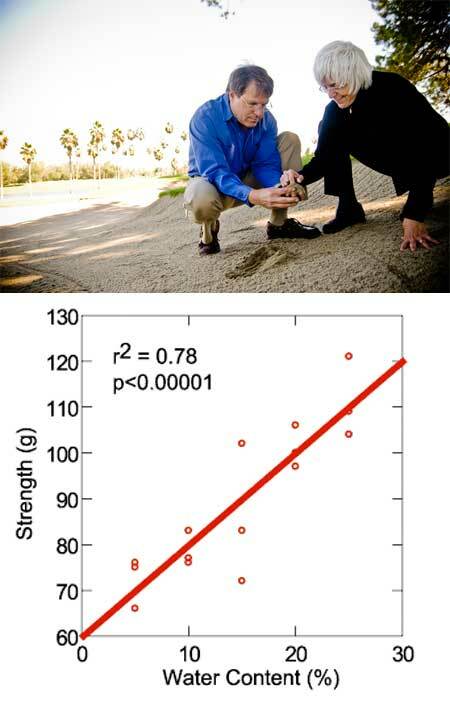 "It is important to acknowledge the long-standing positive relationship PACE Turf has had with GCSAA. They have proven to be a great resource on the course and have provided excellent service." "Pesticides: expensive. Fertilizers: expensive. Labor: Expensive. $275 for a PACE Turf membership: Priceless." "When it comes to turf management, I rely on Wendy and Larry to cut to the chase." "What I get from PACE Turf is continuous support and confirmation about what’s going on. I don’t feel like I’m out there by myself. It’s like having an assistant on your shoulder." "Every superintendent should belong to PACE Turf. It can really help them do their jobs better." "I have known Wendy and Larry for 20 years and have always been impressed. In class, I use them as the model of how a consulting business is to be operated. They represent the best of the best." Not a PACE Turf member? Want to see more? Become a member!